That's why I will post today a fun, easy to make recipe just for a snack to start your day. 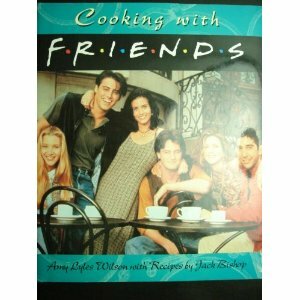 Even better, the recipe is from my favorite cookbook Cooking with Friends (from the famous TV series). As I feel that I grew older with Friends and remember their fun Thanksgiving episodes (apparently popular with the cast), I publish below the Spiced Pecans recipe taken from the book (page 9). Enjoy! Preheat the oven to 325F. Combine the spices and salt in a small bowl. Toss the pecans and oil in a large bowl. Sprinkle the spice mixture over the nuts out in a single layer over 2 large baking sheets. Toast until the nuts are fragrant, about 10 minutes. Cool the nuts to room temperature. (The nuts can be stored in an airtight container for several days). Serve a little at a time, or otherwise you'll find your guests have devoured all of the nuts in just minutes. Thank you for your postings....it was a challenging trivia but there are a few PALM beer pros. It was difficult to pick the winner --- the best answer goes to the person who posted as Unknown (I need your name and address to be able to have the gift sent to you as soon as possible). 2. It's a tulip-shaped chalice, which helps with head retention and directing the aroma to the drinker's nose. 3. Top (ale) fermentation, bottom (lager) fermentation, spontaneous (lambic/gueze) fermentation and (this is a guess:) secondary (bottle) fermentation. Thanks to the PALM beer that sponsored this giveaway! Palm Beer and Fullybooked.biz partnered for a Trivia Giveaway. The successful reader will receive a ‘Taste of Belgium’ Gift Set from PALM Beer. The giveaway is open until Friday, 11.18 at 5pm EST. If there is no winner at that time, it will be extended to Monday 11.21 at 5pm. Just leave your answer at the comments box below. Only US residents! 1. The Belgian Brewing Guild challenged its brewers to create an ale that was true to Belgian tradition but was lighter and had refreshment. What is the name of this style? 2. In Belgium, every beer has its own glass. What is the shape of the glass used for PALM and why? 3. PALM is the only brewery in the world that brews all four fermentation styles. What are those four fermentation styles that PALM brews? It was a wonderful breakfast when this year's Good Food Awards Finalists were announced and they kindly and generously presented their products at the Il Buco's New Alimentari in Noho. I didn't have the stomach to taste everything - 71 in total!- but I did pretty well tasting at least one third of those amazing food creations. Even better, I tried the entire list of finalists in the Preserves "section", something that brought memories from my childhood. My favorite, the American Spoon Heirloom Tomato Preserve and Wild Thimbleberry Jam, perfectly balanced in sugars and fruit, reminded of my grandmother, a master in marmalade and preserve making. One bite was just for exploring, the second stayed in the mouth for a few minutes, enough to make me nostalgic, nearly a Proustian experience, this time without Madeleines. Here is the entire list of the finalists, the winner will be announced in January 2012 in San Francisco! Ricco/Maresca Gallery is pleased to present an exhibition of ceramic sculptures by Toni Ross. Informed by vessel vernacular, my work explores shape, surface, containment and the relationship between outside and in. The work is predominantly East Asian wedged coil built stoneware. Shino (shee-no), a traditional Japanese style glaze, is applied either to the entire piece or to the interior alone where it is encouraged to seep through the clay wall. Patterns emerge on the surfaces, often creating the effect of the piece being illuminated from within. In other instances, the shino has been abraded to expose the grayed, fire-touched clay underneath, a reminder of process and a sense of time passed. These sculptural vessels are at once methodic and intensely personal; both in surface and in form they are rhythmic and yet unpredictable. Viewed as a group, the sculptures seem engaged in conversation, their restrained, almost ascetic sense of form radiating a subtle, powerful current. Singular pieces provide a counterpoint to this still reflection on form, as their vibrant surfaces demonstrate a sense of directness, almost urgency, instilled over time by various elements: fire, water, salts, minerals, and artist’s hand. Each vessel contains, and emits, a strong sense of emotion, at times held powerfully within variations of form, elsewhere raw and exposed by the visceral surfaces. 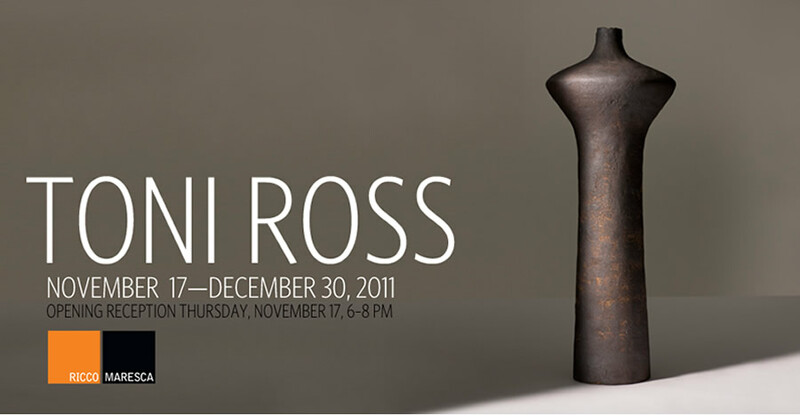 Ross’s concentration on containment is abstract rather than functional, each vessel inherently brimming with its own process of creation: a body of memories as well as possibilities. The festive cocktails took place early this year at The Kitchen NYC, where guests gathered in the interactive event space while watching Executive Chef John McAllister & Sous Chef Dan Sanchez create handcrafted seasonal hors d'Oeuvres right in front of them. Tuna tartare, eggplant tapas, chicken bites, meatballs, dates wrapped with ham, fish cakes and plenty of cheese with dried fruit and delicious nuts were the delicacies all of us had the chance to taste. The Kitchen NYC, now renamed as FoodPop Studios, is 7,500 square feet and divided into fully customizable spaces including a separate state-of-the-art kitchen studio, tasting room and raw event space. In addition to the kitchen studio, the space includes a beautifully designed Tasting Room ideal for intimate gatherings such as food and wine tastings or private dinners prepared by your favorite chef. A unique venue for events, tasting and cooking! At 12 noon, join Mimi Sheraton, acclaimed food writer and author of The Bialy Eaters, and Jessamyn Waldman, founder of Hot Bread Kitchen, as they discuss the elusive authentic bialy, a classic Jewish bread from Eastern Europe that's often eaten with pickles. This free event takes place at Pasanella & Son Vintners, located across the street from the Market. 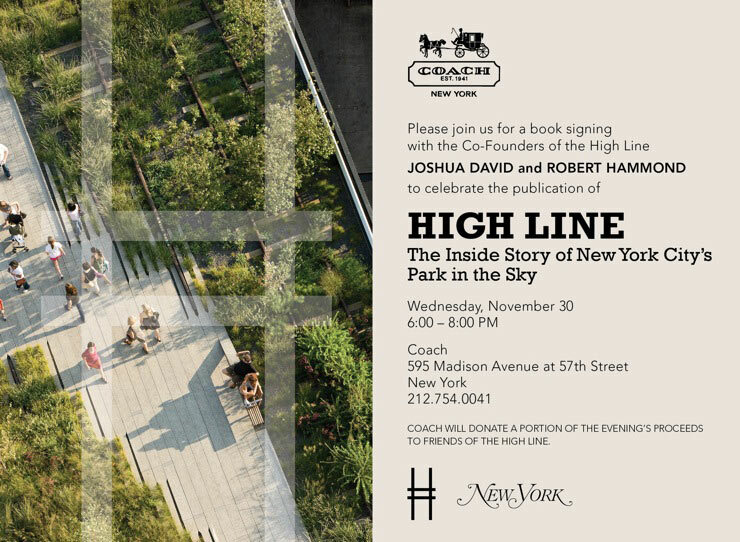 Please RSVP to info@newamsterdammarket.org. Local restaurant Fresh Salt will be pouring a selection of 3 regional beers for $5 per beer. Purchase an advance tasting ticket and get all 3 beers plus a bialy from Hot Bread Kitchen for only $13! Beginning at 3:30pm, the Sylvester Manor Worksongers -- a group of talented workers who tend the Sylvester Manor Educational Farm on Shelter Island, NY -- will perform traditional work songs, accompanied by Klezmer fiddler Jonathan Cannon. The Sylvester Manor Worksongers will also be selling produce from the farm so be sure to visit their stall. Join on 11/12 from 3:30-5:30 for a "meet and eat" with Michael Chernow & Daniel Holzman from The Meatball Shop. 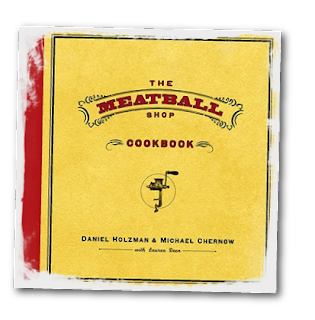 There will be meatballs and you'll have a chance to buy their new and awesome cookbook at a discount and get it signed. 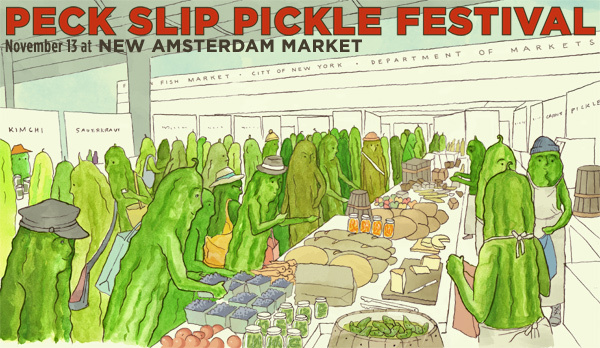 It's the perfect gift for your favorite foodie! 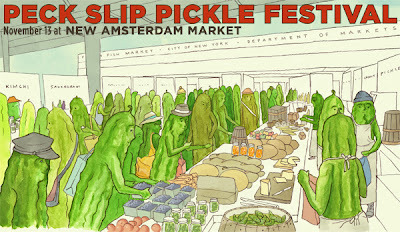 Where: Whisk, 231 Bedford Avenue, at the corner of N. 4 Street in Williamsburg.